I enjoy entering competitions for the challenge and the excitement involved. I have fun working with the project guidelines and having a deadline to work towards. Below please find contests & competitions that I have participated in. Project Details: Design a fruit themed scarf pattern. 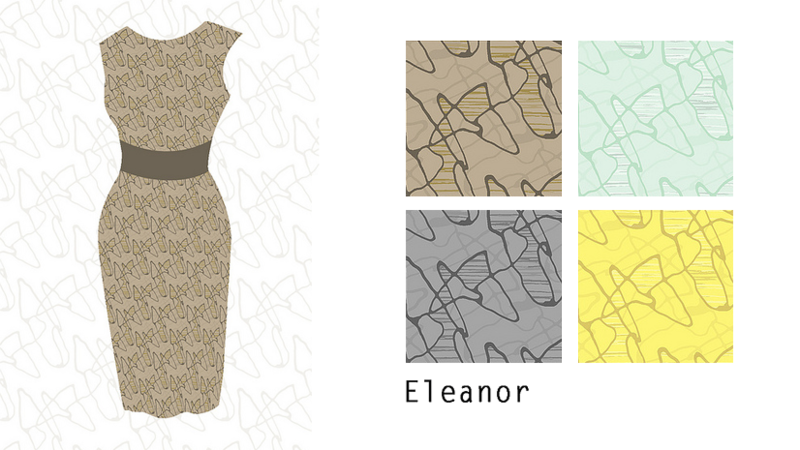 Project Details: Design a pattern for the Trina Turk Fall 2013 Collection. Designs were to use bright bold colors and graphics and have a mod-vintage feeling. Project Details: Design a bedding collection for a Duvet cover with coordinating pillow & sham. Designs were limited to a max of 8 colors and had to be mocked up on 3D templates to show size & placement. Project: Design a pattern for a Mid-century cocktail dress for an upcoming theater production of "How To Succeed In Business Without Really Trying." Project Details: Design a modern pattern using pen & ink and incorporate watercolor elements. This pattern was a Semifinalist in this contest. 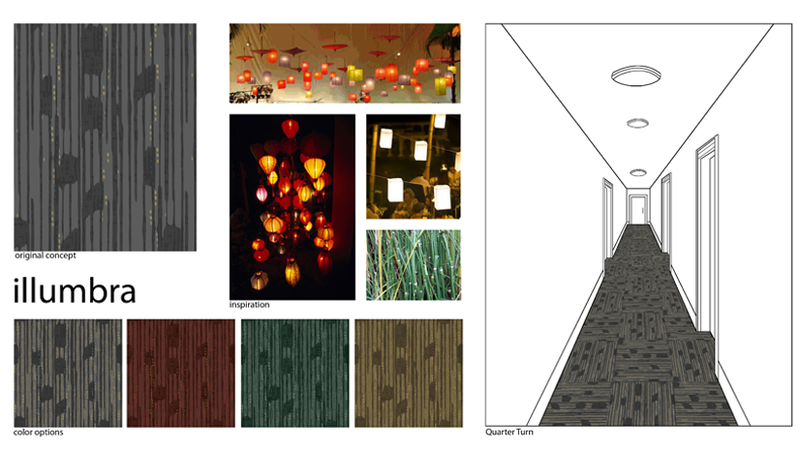 Project Details: Create a pattern design for a carpet tile and show corresponding inspiration behind the design.